Liberia’s First Lady Madam Clar Weah on yesterday visited little Ama Geeplay at the St. Joseph Catholic in Monrovia. Madam Weah’s visit was upon the request of the Ministry of Gender who took up little Ama’s case since her both hands were burned by a family member in January of this year. Receiving the First Lady upon her arrival, Hospital Director Br. 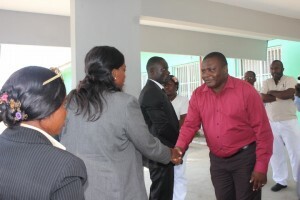 Peter Lansana Dawoh escorted Madam Weah to Ama’s room along with officials from the Gender Ministry. He thanked the first Lady for the visit and assured her the hospital will provide the best care for Ama. 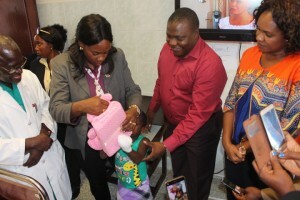 During the visit, the First Lady presented a gift of teddy bear to Ama and promised to work with the Gender Ministry to ensure Ama receives the best medical treatment. Little Ama Geeplay two hands were burned by a cousin for eating her left over food in Harper, Maryland County, Liberia. She was flown to Monrovia after the incident, and has been admitted at the St. Joseph Catholic Hospital. 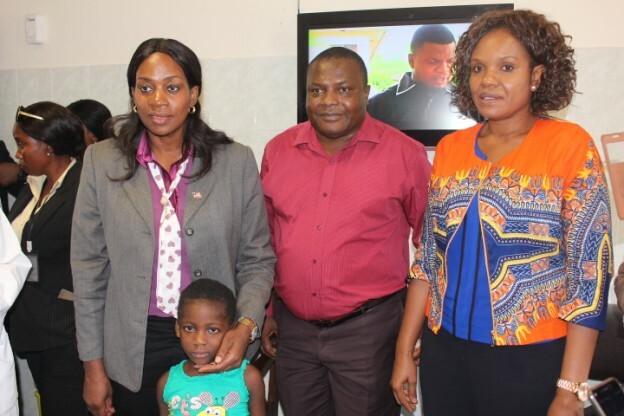 The Gender Ministry has been working with Ms. Karthlyn Jlaka and a host of others based in the United States and Liberia to ensure Ama gets the best medical care, while arrangements are underway to fly her to the US for further treatment. Little Ama recovery has been remarkable and her cheerful spirit has once again return.